Consider having Beth Ellen Nash as a featured Special Needs track speaker. Are you at a loss for your next steps to help your child become a confident reader? Is your child’s dyslexia getting in the way of academic success? This fresh perspective into the flip-side strengths of the neurological differences that underlie dyslexia helps us see the strengths that are associated that should be celebrated and embraced along with the challenges that need to be addressed. For many struggling learners, before academic breakthroughs can occur, underlying weaknesses in attention and memory (and other areas) need to be addressed. Beth Ellen will discuss some of the possible breakdown points as well as provide some suggestions and exercises to support students with struggles in these areas. The next three talks each work well in one of the early time slots in the convention to help attendees think through some basic guiding principles to help them use the exhibit hall time in a strategic manner that fits their family’s unique needs. Your job as a homeschooler is to provide the temporary supports needed for your children to become the capable learners we want them to be. Beth Ellen will discuss key foundational principles to provide a structure and framework to decide what’s right for your child. She reminds us that you are teaching a child, not a curriculum even as you lay a solid foundation of core academic skills and provide rich and broad exposure in other areas. Allow your curriculum to be your servant and guide (not your master) as you learn to provide just the right amount of support to allow your student to go as slow as they need, but as fast as they are ready. Beth Ellen Nash, Intervention Specialist for Wings to Soar Online Academy, guides you through a curriculum skills chart so you can assess how the curriculum you are using is working for each of your kids and how they are doing in each of the sub-skills, so you can make informed curriculum purchasing decisions. She will also guide you to reassess your current homeschool schedule so you can make any tweaks necessary to optimize for your family’s needs. Finally, Beth Ellen will also help you check-in on how you are doing with balance and meeting the whole-person well-being needs for each member of your family. Whether your “outside the box learner” is struggling, gifted, a bit of both, or just would learn better with something other than a packaged textbook curriculum, this interactive workshop will help you learn how to create a customized curriculum package that is right for each of your children. The following two talks work well along with the dyslexia talk for a series of talks going deeper with issues that many with dyslexia, as well as many others face. Hat, bat, cat… If your child cannot rhyme or play with the sounds within words, learning the sound-symbol code of phonics for reading and spelling will be especially difficult. We will focus on the often overlooked development of phonological and phonemic awareness, which has been directly linked with success in later reading. These skills are typically developed around 3-6 years old, but if this early foundation has not been laid, then it is important to go back and fill in the gaps for the older struggling reader or speller as well. I am in the process of becoming a Jack Canfield Success Principles certified trainer. Based on that training as well as my own year-long Becoming the Me I Wanna Be™ course, I am offering a teen track version. Alternatively, I also offer this material in a parent-oriented track. This material can be offered in a variety of interactive workshop lengths, from a half-day to a two-day experience. In the Becoming the Me I Wanna Be™ teen track, you’ll be challenged to take 100% responsibility for your life. Say goodbye to complaining, blaming, and excuses. Take stock of life right now. Explore “Who am I?” including your signature strengths. Delve into your purpose, passion, and vision. From that foundation, we’ll move on to goal-setting. You’ll learn the power of your beliefs, your thoughts, and your attitude to making your goals a reality. And then the all-important step: you have to take action and learn to use feedback to adjust your course. Finally, you’ll become more confident about stepping out of your comfort zone into this person you are choosing to become. Beth Ellen Nash has her Education degree from the University of Wisconsin—Madison and has 17 years’ experience working with struggling learners. She was the founder, director, and lead teacher for 8 years at Hope Academy, a school for struggling middle and high school students in Madison, WI. In 2011, she shifted toward an individualized online and homeschool hybrid option called Wings to Soar Online Academy, specializing in the creation of Custom Path to Success Learning Plans for dyslexics and other outside-the-box learners for kindergarten through 12th grade. 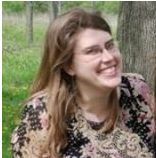 Beth Ellen is currently Curriculum Coordinator, Intervention Specialist, and Integrated Liberal Studies teacher for Wings to Soar Online Academy. Beth Ellen has tutored, assessed, and consulted with hundreds of families and companies that serve homeschoolers as well as public charter schools. She is the author of Wings to Soar: Integrated, Multisensory Language Arts with Words You Really Use and author of the forthcoming books, Dyslexia Outside-the-Box and Thriving as a Highly Sensitive Person. In addition, Beth Ellen is a sought-after speaker for many homeschooling and educational conferences. Beth Ellen tailors her talks to the needs of the audience drawing upon her experience with students ages 3-21 with dyslexia, ADHD, autism spectrum, RAD, OCD, anxiety, depression, learning disabilities, and those who otherwise learn differently from traditional schooling. My hope is that this list will assist conference organizers in connecting with Beth Ellen Nash and other workshop leaders and speakers. Furthermore, my desire is to help homeschool workshop leaders and speakers develop relationships with more convention planners and audiences. May your efforts be for the glory of Christ and the strengthening of His saints. Are you Beth Ellen Nash? Please click your name to login and update your profile.